Pavement played one hell of a show at London’s Brixton Academy on December 14, 1992. We know this because the BBC taped and broadcast the set — a set that was subsequently included on the classic Stray Slack bootleg, officially released as part of the 10th anniversary Slanted and Enchanted reissue, and finally put to wax last month on the Secret History comp. Of course, Pavement was just one part of the bill on that December night. Malkmus & co. were opening for Sonic Youth, then touring in support of their second major label effort, Dirty. Fortunately, the BBC’s tapes were still rolling, preserving (most of) SY’s glorious, explosive set for us to check out all these years later. They lean heavily on Dirty numbers here (even including the choice Lee Ranaldo b-side “Genetic”), but there are welcome trips into the back catalogue, including a ferocious “Kool Thing” and “Tom Violence,” appropriately dedicated to Richard Hell. 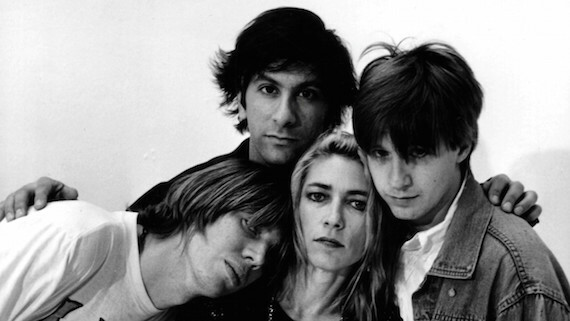 This is Sonic Youth at their tightest (and most tightly wound), with Thurston Moore and Ranaldo’s guitars crunching and squalling around Kim Gordon’s inimitable snarl. It’s always interesting seeing what shows where happening in the past like this. I love Sonic Youth so it’s great to imagine being there at this concert! I just read “Goodbye 20th Century”, and I find that this was a band that had an identity crisis from the very beginning. They didn’t shy away from the idea of fame, but it just never hit from them. I was thrilled when they eventually became more comfortable with their place in the rock pantheon and dove back into the arena of noise-rock, and experimental sounds, before Thurston messed it all up.